I have had several clients at this property. The care has consistently been good and the staff are knowledgeable and caring. This is a newer property, but many of the staff are from other properties and they are experienced in managing the care needs of the memory impaired client. The best way to get to know a community is by scheduling a tour. See the facilities, meet the staff and residents, and get a feel first hand what it's like to live at Scottsdale Memory Care Memory Care. 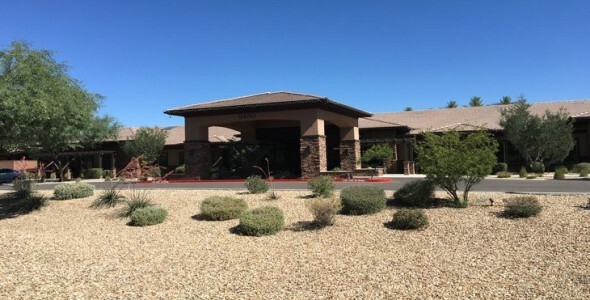 Scottsdale Memory Care is a new memory care community in Scottsdale that provides the highest quality of care and support to those with Alzheimer's disease and other memory impairments. Our state-of-the-art memory care community is managed by Avenir Senior Living and features our respected and innovative specialized memory care program. Years of research shows that the environment in which memory impaired individuals live is crucial to improving quality of life issues inherent with the disease progression. The research also identifies that memory-impaired adults do far better in smaller living environments when placed with their peers of similar cognitive ability. Our caring staff help create an environment of empowerment where activities and hobbies are scheduled regularly, and opportunities to rediscover remaining abilities and skills are routinely provided in ways that are fun and engaging. Secure outdoor garden areas with walking paths are perfect places for residents to enjoy warm weather and get some fresh air. Accommodations are available in companion, private and deluxe private living options. Rooms feature in-suite climate control and emergency call systems for added safety. Residents enjoy the freedom to visit their neighbors and enjoy large, secured outdoor areas. Scottsdale Memory Care features a specialized Alzheimer's and memory care program. This program is designed to enable our residents to achieve the highest quality of life, rediscover ways to enjoy everyday activities and make the most of their time. The program also addresses the needs of family members who have a loved one facing Alzheimer's or another dementia-related illness. Frequent wellness checks, as well as diet monitoring, ensure that health needs are addressed promptly. Our activities program is tailored to each individual's abilities. We focus on helping your loved one “rediscover” their remaining abilities. We also encourage families to be involved with day-to-day care planning, special events and support group meetings. Come and discover the newest retirement community in Scottsdale serving seniors with memory loss.